BETFAIR CASINO- SPICE UP YOUR LIFE! Do you feel like you need an activity to spice up your life? Are you looking for something interesting and entertaining to do, which might also bring you value? Well, who doesn’t want to add up some taste in their life? So, here is something cool for you if you love gambling and are not afraid of a challenge. Nowadays, everybody needs to try new things, from time to time, because we easily get bored and there are so many temptations, especially in the online world. Therefore, we recommend you try out an amazing app called “Betfair Casino”. Yes, Betfair is where all the action is at! An online casino where you can find the best casino games, from old classics to the latest releases, almost everything you are looking for in one single place! To begin with, sign up and claim your new customer bonus. Then, you can choose the game you want to play. 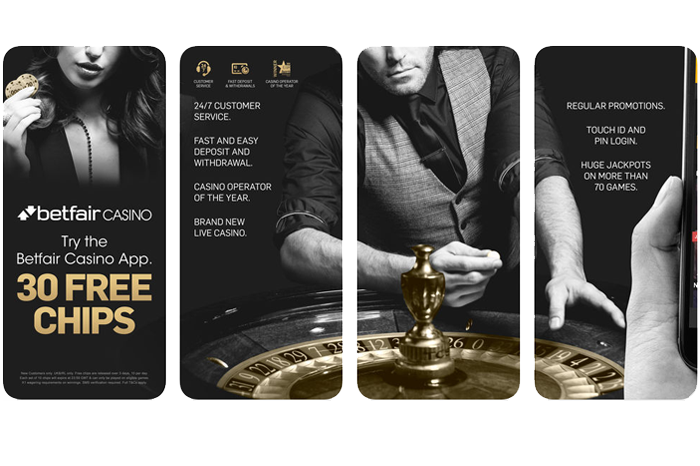 You can play either for real money or for free and experience the thrill of a real casino from the comfort of your own home, or play on the go with this latest Android app. The Betfair app provides a huge collection of the latest casino games, such as: roulette, blackjack, slots, super heroes, video poker, table and card games. The app rewards players with new promotions every week, so you need to check in regularly to see which offer you qualify for. In addition to real-money games, Betfair Casino offers many free games if you chose the demo version. Using virtual chips, you can experience the thrill of Blackjack, Roulette, or Slots and you can practice on the free version until you feel confident enough to play for real money. Later, you can easily switch to the real-money game mode with a single click, and get the chance to boost your bankroll. Many options await you in the new games lobby that is constantly updated. Once a new batch of games hits the market, the lobby automatically shifts them to the top of the list to help you easily find them. Overall, I would say that Betfair Casino is an excellent platform for those who want a challenge! The app offers stunning HD graphics and used cutting-edge RFID technology. It’s easy to navigate and loads quickly. Betfair Casino has been developed by the Betfair Ltd, which is regulated and licensed by the Malta Gaming Authority. The app can be accessed by the customers in the UK and Ireland only. So, get the real-life suspense of a physical casino from wherever you are! Pros: super-addictive app; huge collection of live casino games; HD graphics; real money and free games; rewards and bonuses; works on WiFi and 3G/4G as well. Cons: based in the UK only.